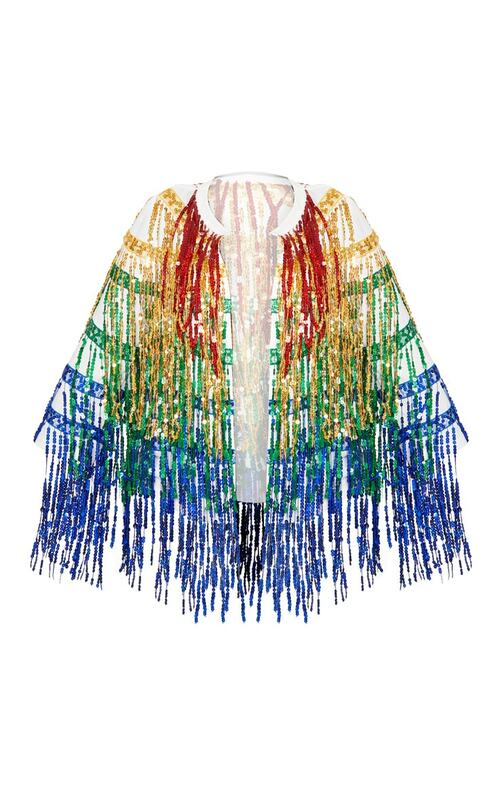 Go for glam with your festival look in this jacket. 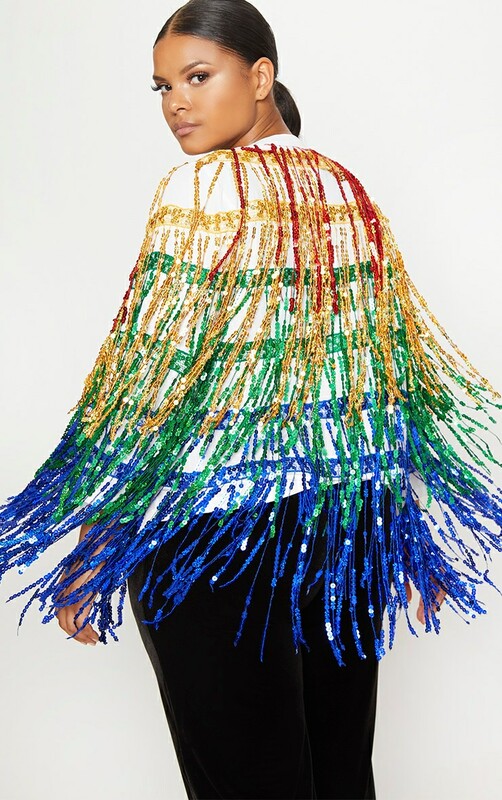 Featuring a white lightweight fabric, multi sequined fringing and a loose fit, team this jacket with a crop top and flares for the ultimate look. Complete the look with lots of glitter.